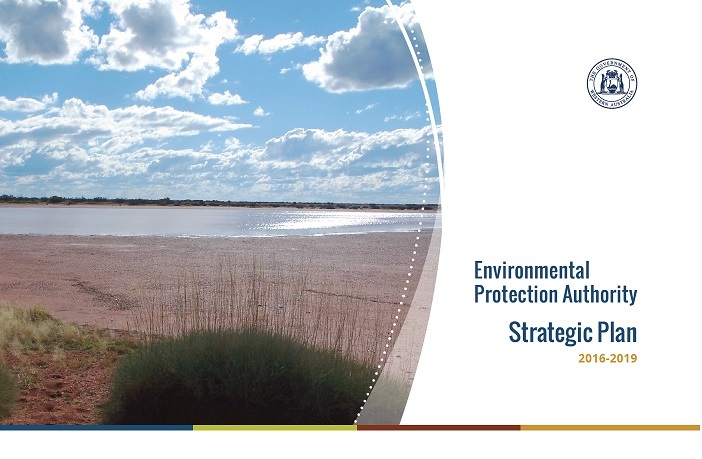 This Strategic Plan for the Environmental Protection Authority will guide our focus over the next three year period July 2016 to June 2019. December 2016 will mark the 45th anniversary of the commencement of the EPA. Over this 45 year period, and under the leadership of 11 different chairmen, the EPA has provided expert and independent advice to governments on important environmental issues. The level of public engagement with the development of EPA advice, and public scrutiny of our assessment process, has greatly increased in recent times, reflecting the value and importance that society places on our work and our advice. The primary purpose of the EPA is to protect the environment for present and future generations through the provision of sound, robust and transparent advice to the Minister for Environment. We do this by assessing proposals and schemes that are referred to us, and providing public advice on those that may have a significant impact on the environment. We also provide public advice on broader environmental issues through our advice reports to the Minister and our annual reports. While the Minister for Environment is the primary recipient of our advice, the beneficiary is the Western Australian society as a whole. The EPA’s role is becoming increasingly complex given the scale and nature of developments that it considers. The EPA does not have decision making powers to protect the environment. We can only achieve our goal through the advice that we provide. Therefore, to achieve our purpose, the EPA must maintain the confidence of the Minister, Government, proponents and the community in the way it operates and the quality of the advice it provides. We have developed this strategic plan with this fundamental requirement at its core. This is consistent with increasing community expectations around the rigour and transparency of our advice. A key feature of the EPA process is that all our advice, whether on specific development or broader environmental issues, is made public, and there are a number of points in the assessment process that provide for public input and appeal. The EPA receives support from the Office of the Environmental Protection Authority and we extend our appreciation to all staff of the OEPA for the excellent work they undertake.